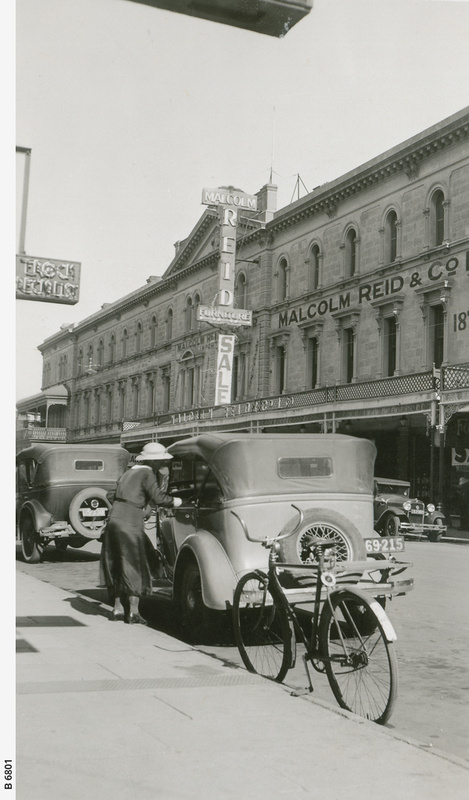 Malcolm Reid & Co., Rundle Street south side January 14, 1936. Near side of the three story building is 91 yards east of Pulteney Street and frontage is 36 yards. Malcolm Reid and Company Limited sold furniture. Cars are parked along the kerb where a lady can be seen chatting to an occupant.